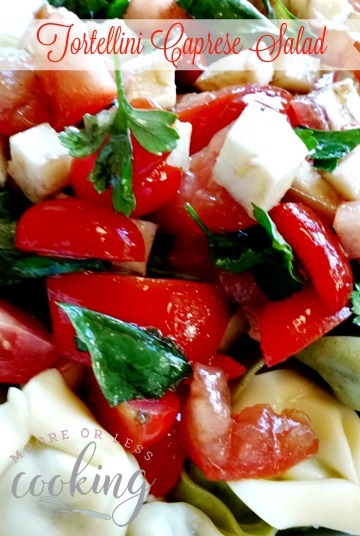 Tortellini Caprese Salad: Pesto Tortellini Pasta Salad with tomatoes, Mozzarella and fresh basil tossed in a Vinaigrette! This will be a hit at your next picnic or potluck! Since the weather has been super warm out, we are grilling and BBQ’ing every weekend. 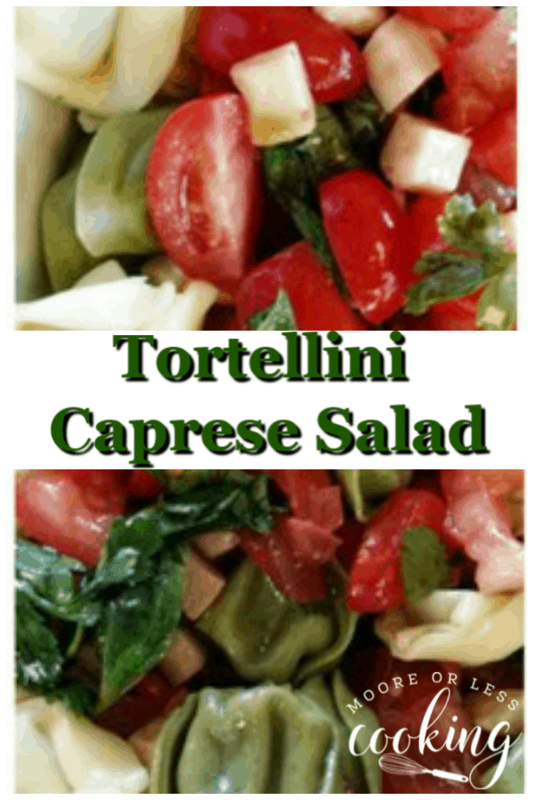 I am so crazy about Caprese pasta salad, I found the Pesto Tortellini family pack and thought that a Caprese Pasta Salad would be wonderful with it. The flavors were so delicious! Everybody loved it, I’ll double the recipe next time! It disappeared quickly! 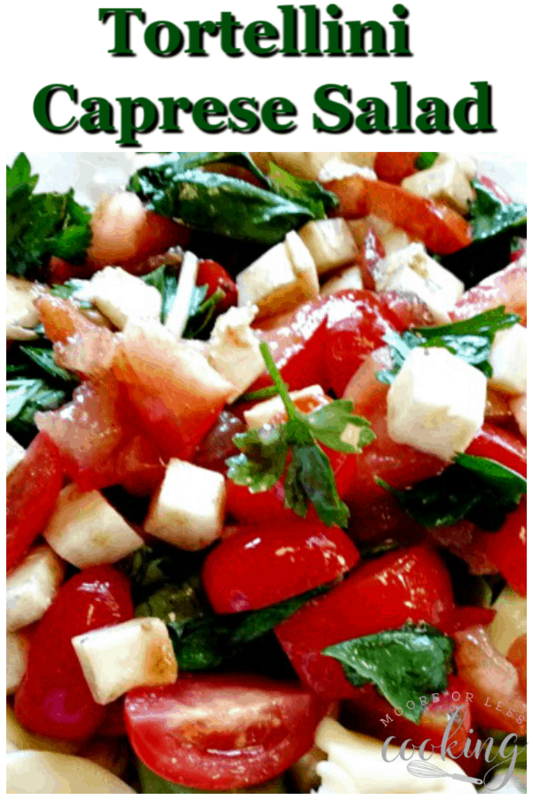 Mix Tomatoes, Basil and Mozzarella in a bowl. Toss with dressing. Add cold cooked Tortellini. Gently toss. Serve! 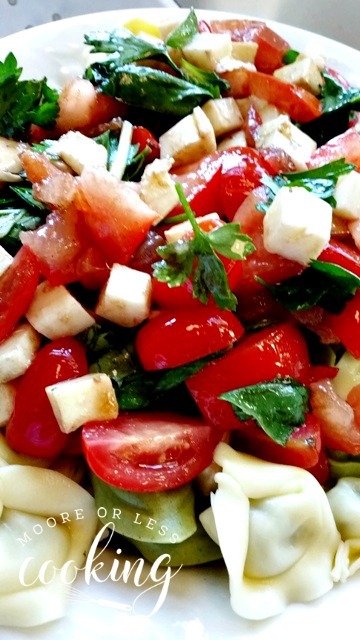 Nothing better than fresh tomatoes, basil and mozzarella for a summer salad! Love all of these flavors! Pesto Tortellini, tomatoes, mozzarella, and fresh basil tossed in a balsamic vinaigrette for the greatest picnic and potluck salad! Cook Pesto tortellini according to package directions in well-salted water until al dente. Drain well and place in a bowl. Drizzle with olive oil so the tortellini doesn't stick together and toss. Let pasta cool off, then cover and refrigerate until cold. While the pasta is cooling off, make the dressing: Whisk the vinegar and mustard together in a small bowl. Drizzle in the olive oil slowly while whisking. Stir in the garlic and a couple dashes salt and pepper. Add the mozzarella, tomatoes, basil and tortellini to a large bowl. Add dressing and toss gently. Now this is my kind of Meatless Monday meal. Love it. Pasta salad + Caprese salad? Yes, please! Thanks for sharing your recipe! This looks easy to handle and yummy, nice recipe! I have made this recipe twice in the last two weeks for different gatherings and it was delicious and a big hit! Mine wasn’t nearly as pretty as the picture though because the balsamic vinegar turned the cheese (and everything else) brown. 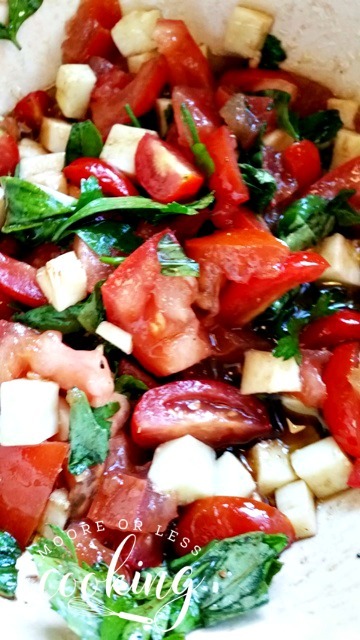 Did you use white balsamic vinegar or regular?